The advent of sms, online communication and particularly social networking sites like Twitter (etc) has allowed brands to alert consumers of relevant information (based on voluntarily revealed consumer preferences) in real time. 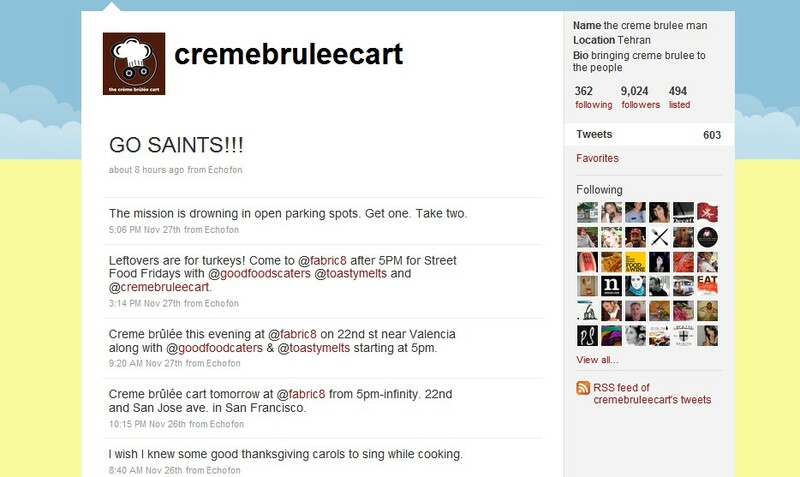 Take the case of Twitter poster boy, the Creme Brulee Man* who changes location daily by posting his whereabouts. 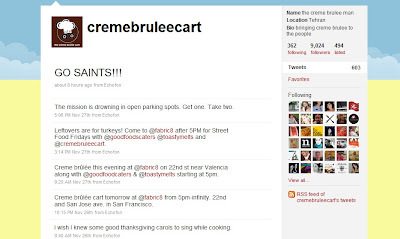 Launched in San Francisco in early August 2009, Curtis Kimball's mobile Creme Brulee Cart has attracted more than 8,000 Twitter followers who rely on his tweets to find out exactly where he'll be and what flavours are on the menu. Kogi Korean BBQ* sells its Korean/Mexican fusion food primarily through two trucks that are always on the move to new locations in the Los Angeles area. To know where to find them, customers must follow Kogi on Twitter. The examples listed demonstrate how these two businesses have capitalised on social networks and technology to activate space, (in this case constantly changing), and still be assured of customers. 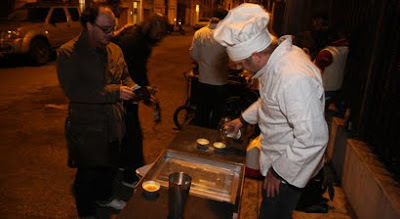 It offers a 'unique experience' which is particularly attractive to modern consumers. It's not just about the food, but the unique way it's delivered, thereby generating its own hype - 'the eatery with no fixed abode'. It also effectively gives the business the opportunity to test different areas without incurring the traditional setup costs associated with establishing a new physical outlet each time. *Source: www.trendwatching.com. One of the world's leading trend firms, trendwatching.com sends out its free, monthly Trend Briefings to more than 160,000 subscribers worldwide.